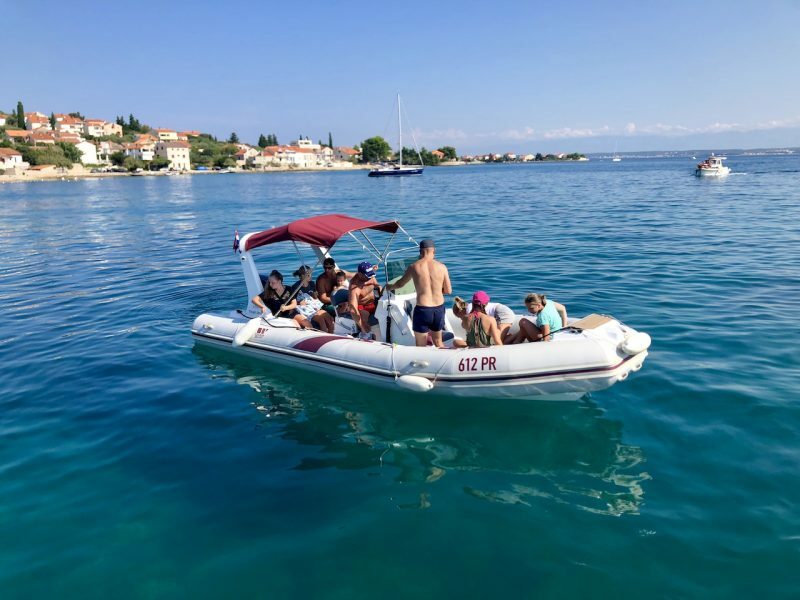 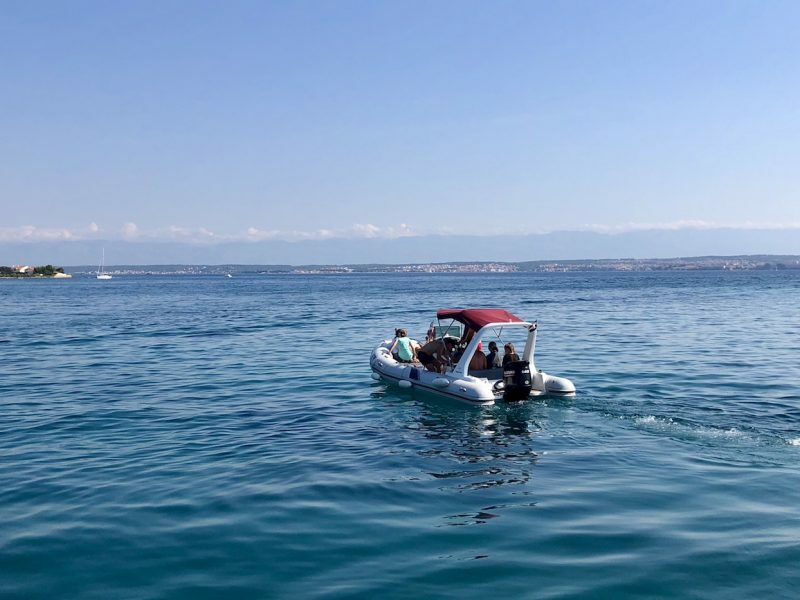 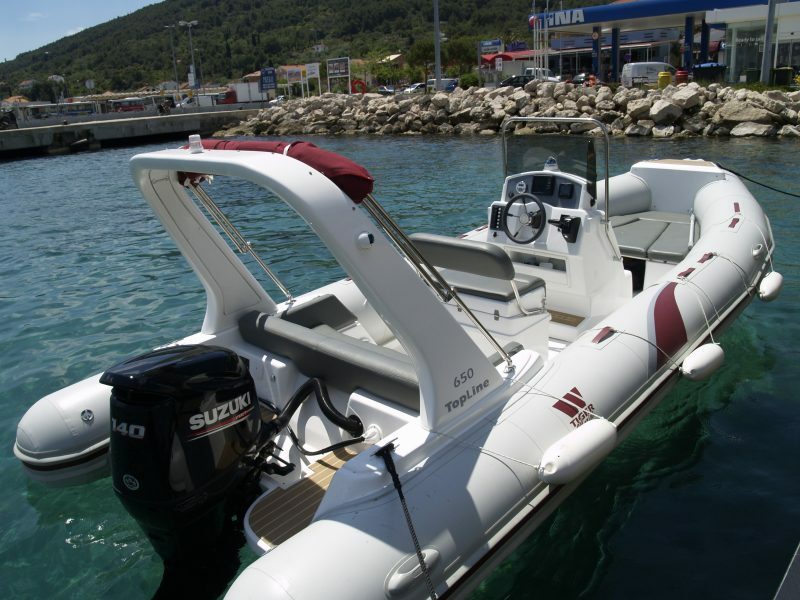 Engine: SUZUKI 140HP; Max Speed: 35mph Length: 6.6m; Width: 2.6m Capacity: 10-12 people GPS, Fish Finder, Radio, Bimini, Bathing Ladder, Fridge, 12V USB Socket, 105l Fuel Tank. 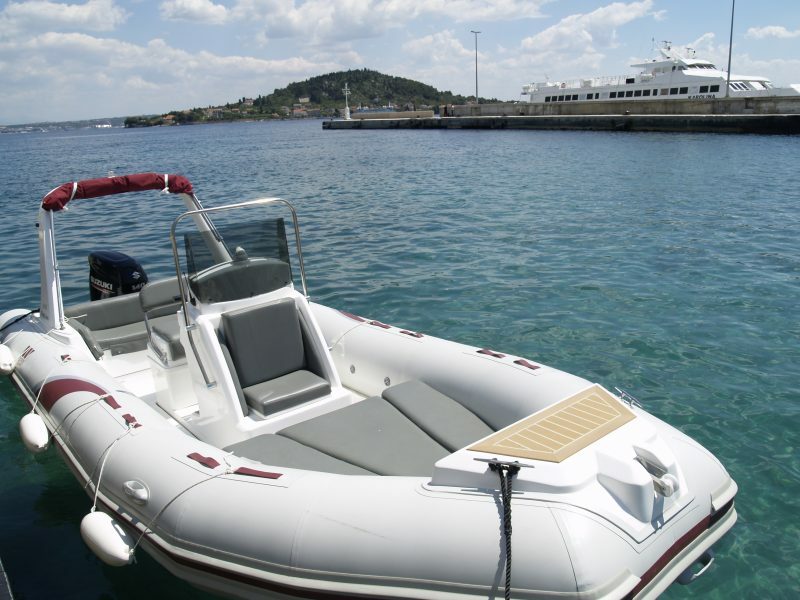 Damage Deposit: €300, refundable. 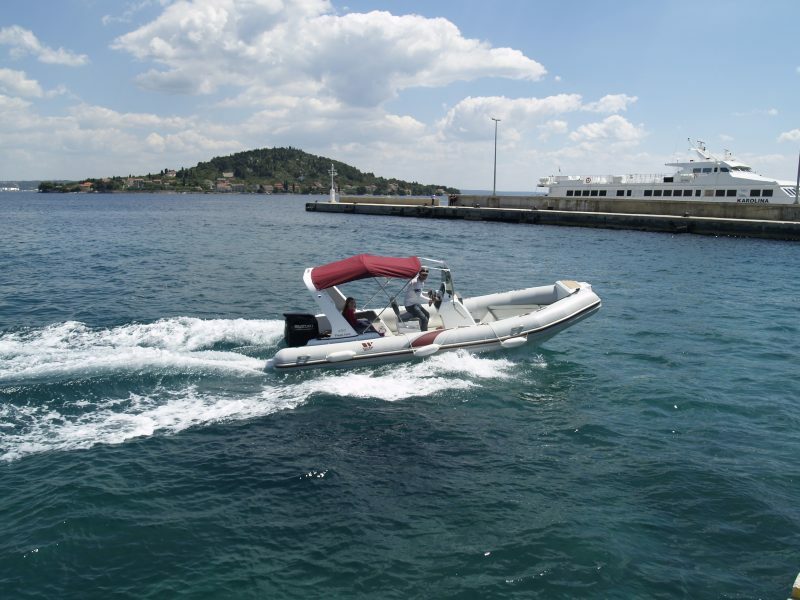 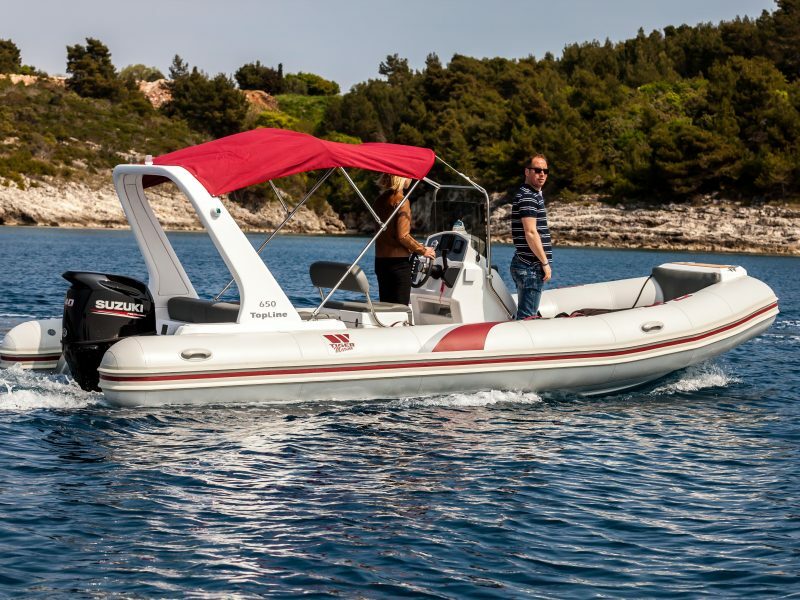 Tiger Marine 650TL, length of 6,70m, it represents a perfect boat for 10 people who want to make daily trips on the Adriatic Sea. On the front there is a sunbathing cushion, so you can enjoy the sun all day. 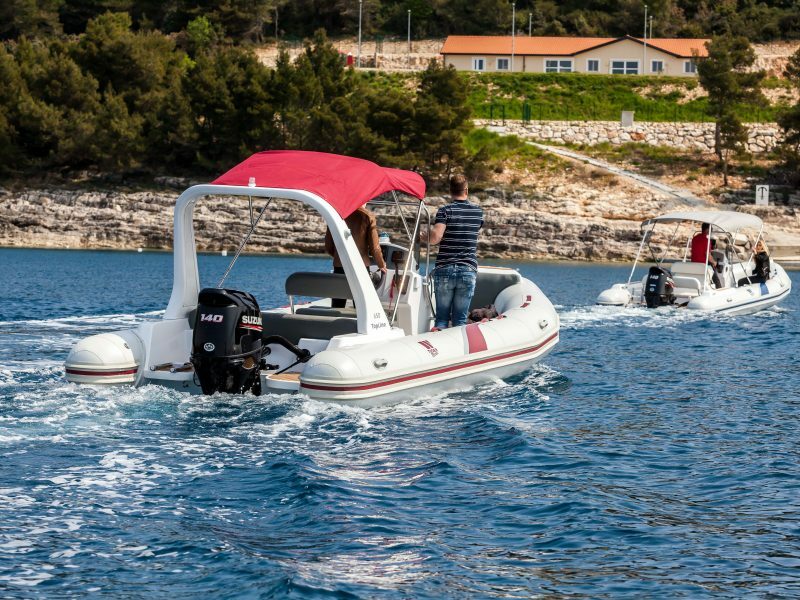 Also, for protecting yourself against strong sun, you have a bimini top. 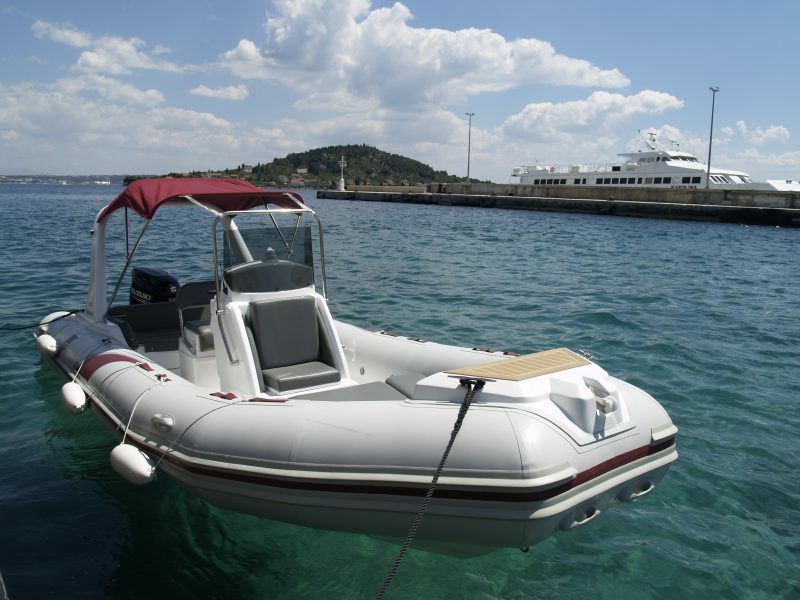 Navigation equipment is included as well as a CD radio player and water shower.